August was a very good month for the roses; lots of sun and warm weather. My summer holiday couldn’t have been more perfect. After a long dry spell there were finally some rainy days, so I was able to plant the roses that I had bought in June in the rosarium at Sangerhausen. I was also very lucky to be allowed to spend some time at the rose nursery De Bierkreek and ‘help’ with the counting of the roses. 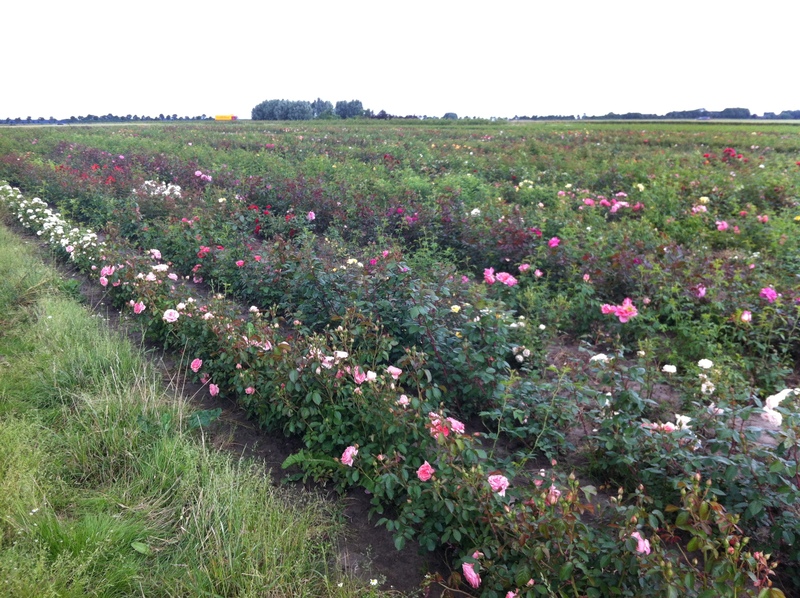 I’m learning more about fragrances and I had two nice days walking through the rose fields trying to describe the different rose fragrances. As a bonus I received three more of my favorite moss roses: Lady Moss, White Moss and Chapeau de Napoleon. Working with roses can be lots of fun! 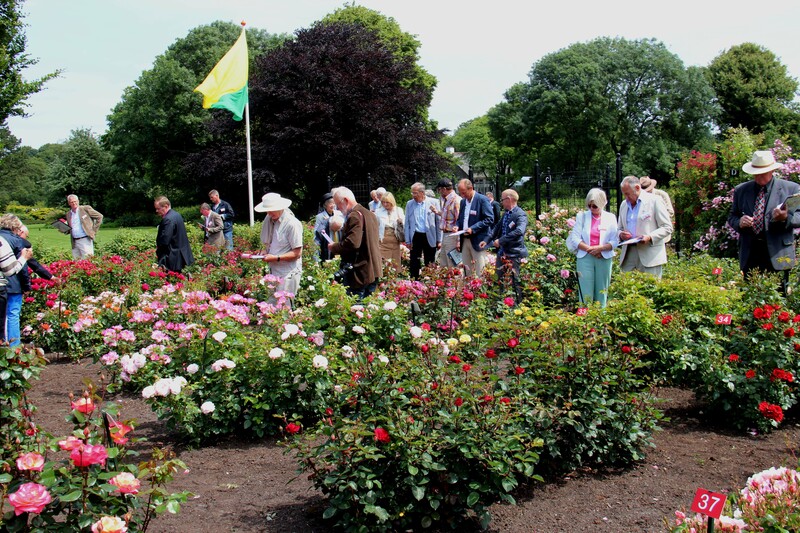 On july 11 the rose trials of The Hague were held and for three years I’m on behalf of the Dutch Rose Society one of the fragrance judges. My first rose trial was a wonderful experience and it has been a truly perfect day. As an experiment we had an extra evening trial last Thursday in the park, but after doing our rounds, we could only decide that fragrance testing of roses in the evening is not very usefull. At 8 o’clock in the evening there is little fragrance to detect. So next year probably only the fragrance trials in the morning and in the daytime. Dit bericht werd geplaatst in News en getagged met fragrance, scent op 31 augustus 2013 door Monique.